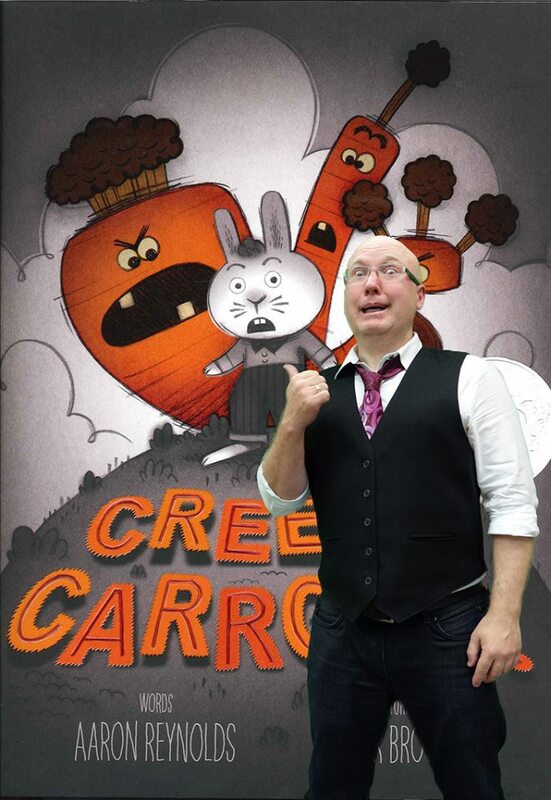 When you get a super-creative writer to tell a story and a super-talented artist to draw the pictures, you get a book like Creepy Carrots. Two of my favorites come together, making this unique tale creepy-cool! A perfect treat for Halloween! Okay, we’ve all read Peter Rabbit and seen what it’s like to rummage through a garden from a rabbit’s perspective. We’ve read The Runaway Bunny and loved the ending when bunny and Mother are nestled safely together in their cozy den sharing a carrot. But, no one has yet to ask, what about the carrots? 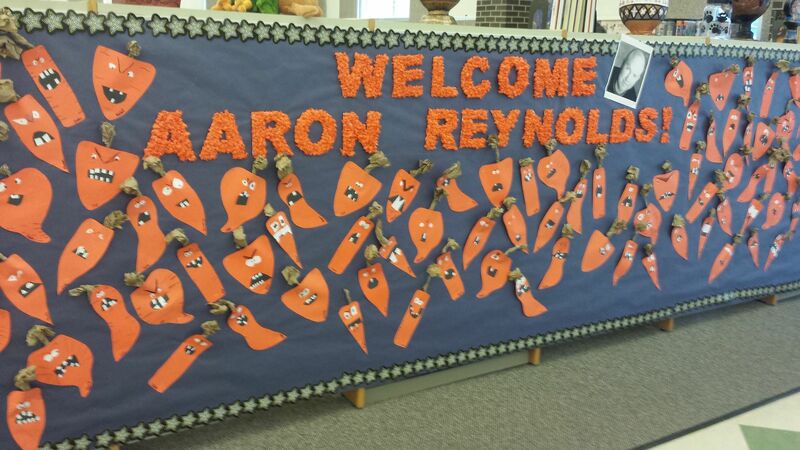 Until Aaron Reynolds thought about life from the view point of the carrots! By the end of week Jasper was seeing creepy carrots creeping EVERYWHERE. Jasper knew his parents were wrong. Creepy Carrots were real. And they were coming for him! But they couldn’t get him . . . if they couldn’t get out. And as the sun finally set, the carrots of Crackenhopper Field . . .
Their creepy plan had worked. They were sure of it. 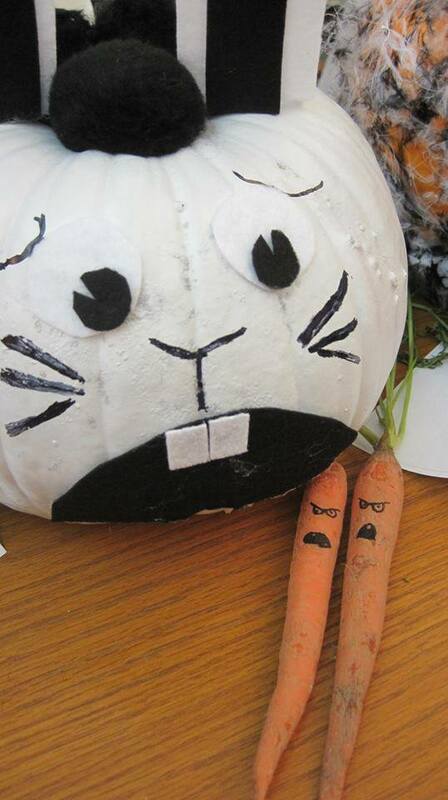 Jasper Rabbit would never get into that carrot patch ever again. F- How did you feel the first time reading the story? Where you scared, excited, entertained, or creeped-out? R- Can you relate to Jasper being afraid? What makes you afraid? Are there any fears that you could turn into something funny because they can’t really happen? I- Imagine you were a carrot in Crackenhopper Field. Write a note to Jasper warning him to keep away! Try to convince him why he should stop eating your friends . . . or eventually, you! E- Explore children’s books you are currently reading by looking at the stories from a different point of view. For example, take books about falling leaves or pumpkin patches and look at some scenarios together from the perspective of the leaves or pumpkins. *Also, check out Aaron Reynolds, Carnivores, as he shares another unique point of view! 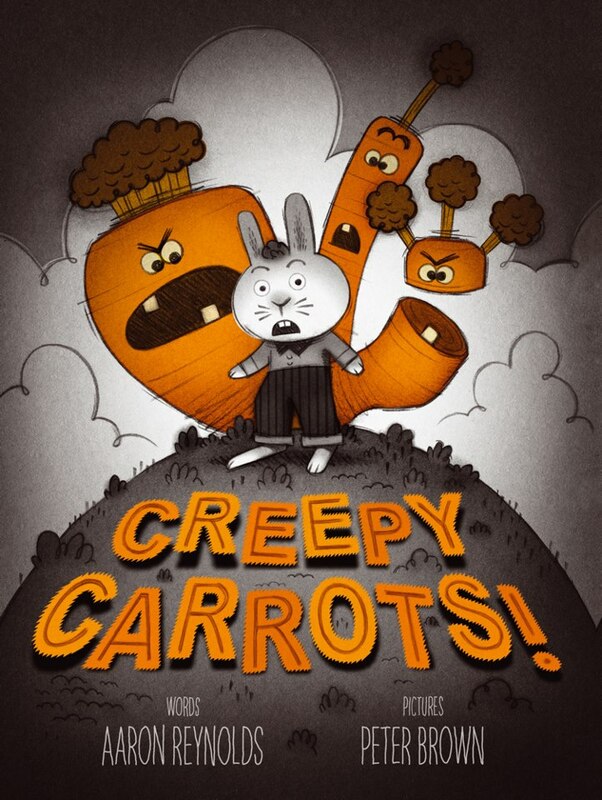 D- Develop your own drawing of a creepy carrot and make it creepy-cool! This entry was posted in garden, Halloween, rabbit and tagged Aaron Reynolds, activities for creepy carrots, children's books for Halloween, Crackenhopper Field, Creepy Carrots, Jasper Rabbit, lesson plans for Creepy Carrots, Lizzy Bromley, overcoming fears, Peter Brown, point of view, Simon & Schuster Books. Bookmark the permalink.